Kansas City’s front office has followed a similar formula during the last decade or so. They build their team through the draft and trades. When players are nearing free agency, they deal away veteran players. This cycle repeats and there end up being some long rebuilding years. It might seem like eons ago, but the Royals made back-to-back World Series in 2014 and 2015. In the midst of a rebuild are the Royals trending upwards? Or is the club due for a second straight 100-loss season? Billy Hamilton fits nicely with Ned Yost’s style. He can play great defense and he’s one of the best base-stealers in the game. Having Hamliton in the same division as Byron Buxton means baseball’s two fastest players will see each other multiple times this season. Chris Owings was once a top prospect in Arizona but he’s hoping to find himself in a new city. Brad Boxberger should get some key outs in late innings. He should split closing duties with Wily Peralta. Homer Bailey could slide into the back of the rotation, but Kansas City might want to see what they have in some younger arms. Mike Moustakas was one of the key pieces of the 2015 World Series Championship. The Moose was the second overall pick in 2007 and he made two All-Star Games with the club. Another key piece, Salvador Perez, will miss the season after having Tommy John surgery. His leadership on the field will be greatly missed this season. Alcides Escobar had been a regular starter in KC since 2011. Last year his OPS was almost 40 points lower than his career average. Lucas Duda was traded away at last year’s trade deadline and he ended up in camp with the Twins this spring. Jason Hammel struggled through two seasons in KC. His ERA was almost 5.60 in over 300 innings. Kansas City locked up their 30-year-old second baseman to a four-year, $16.5 million contract this off-season. He has led the AL in steals in each of the last two seasons. His 192 hits were tops in the AL last year. He ranked in the AL’s top-10 for WAR last season, which put him higher than Jose Altuve and Giancarlo Stanton. Merrifield might not make the top-5 but he could move up that list with improvements this season. 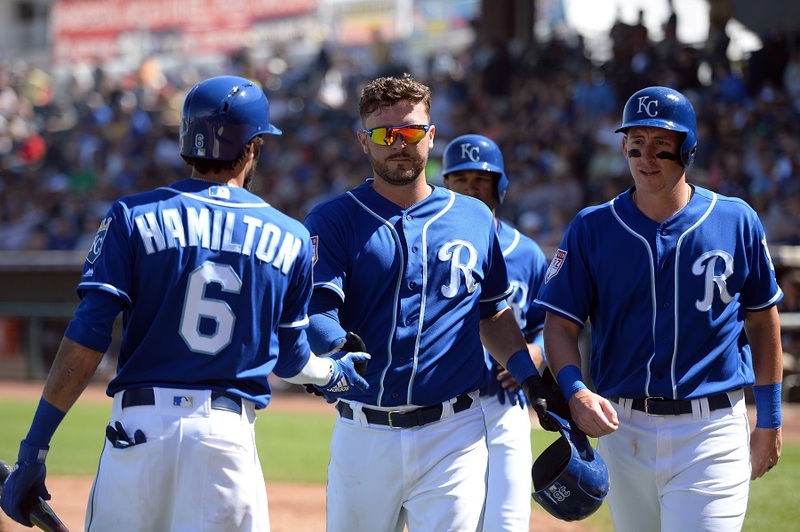 Could Merrifield take over the leadership role left vacated by Perez? Or will the Royals need other pieces to take the next step? I like this team - not because they are great players, but they are going to be interesting.They could swipe 80% of MLBs SBs this year.What a great approach.If you do not have and cannot afford the sluggers do something the other teams do not have to deal with regularly.Go go Royals even if it is just a battle with Gardy and the Tigers! Might want to update the note about Duda. Thanks for this. I've always liked the Royals all the way back to the George Brett days. If the Twins can't win it, I always pull for the Royals, but Nater79a's mini-video is probably pretty accurate. Should be an active trade deadline for them.At least the poor Alex Gordon contract ends after this season.That will free up 20M or 21% of their current payroll.Ian Kennedy is another bad contract that they will probably have to wait out (2 more years, 16.5M per year). They seem to be at or near the rock bottom part of their rebuild, the roster is weak with only a few trade candidates.Their farm system is still pretty weak as well but getting better.They should start trending in the right direction in a couple years. Decent small pickups this off season that they will probably try to flip at the deadline. Yeah, a guy like Whit Merrifield should be solid.But losing Salvador Perez won't help matters.He seems to always wear out the Twins for sure. The Royals are again suffering the fate any organization dreads. And that is to have simultaneous talent droughts in both the majors and the minors. The Twins can relate: not enough elite trade value on your existing MLB 40-man to accelerate a rebuild via trades of MLB players. Which means you're settling fo C+/B- prospects in those trades and then hoping they turn into B+ prospects. A hard way to rebuild. KC might be bad for a long time.